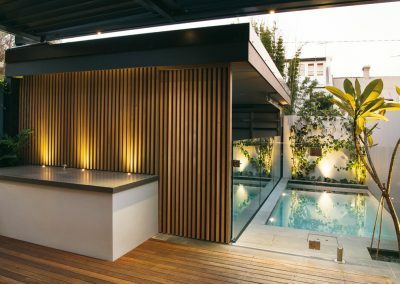 By replacing the old pool with a new design, GOODMANORS Pool + Garden produced a highly functional outdoor space that perfectly met the clients’ brief. Visible from the upstairs balcony, the pool is fully tiled with blue ceramic mosaics that contrast with the travertine coping and paving, which affords a beautifully modern aesthetic. Featuring crisp, clean lines, the pool is visually cohesive with the home’s architecture. 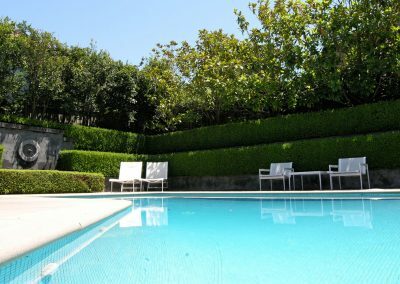 Fitted with a solar-powered heating system and a Waterco salt chlorinator, the pool can be enjoyed year-round. GOODMANORS Pool + Garden positioned the pool to the rear of the backyard to make room for a large grassed area in which the clients’ children and pets can play. 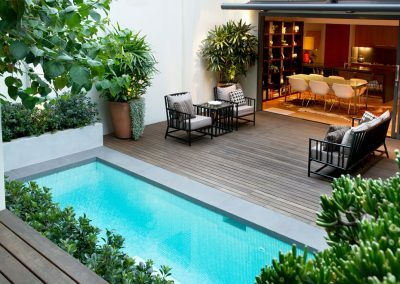 Showcasing spotted-gum decking that’s certified by the Forest Stewardship Council (FSC), as well as drought-resistant plants and Matilda soft-leaf buffalo turf, the outdoor space is environmentally friendly. 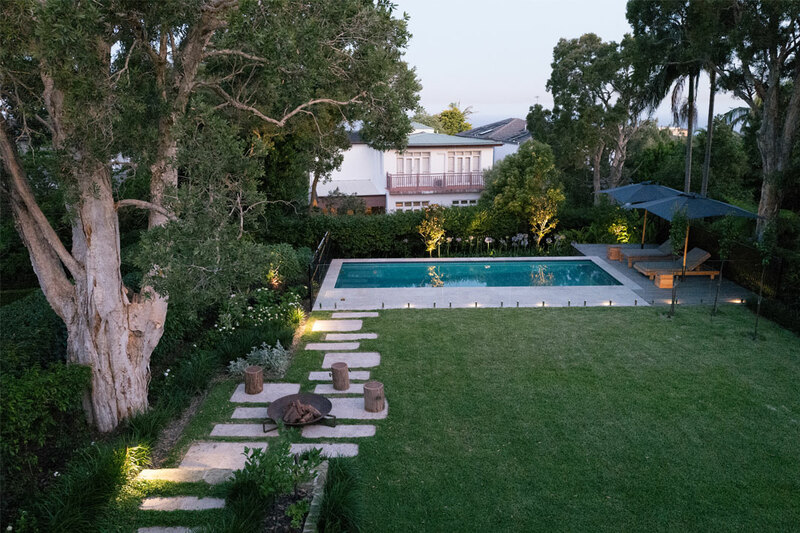 To complement the homeowners’ busy lifestyle, a tank-fed subsurface drip-irrigation system was installed in the entertaining area to minimise maintenance requirements. 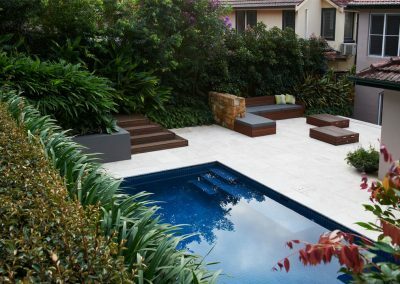 Established in 1986, GOODMANORS Pool + Garden comprises an experienced team of landscape designers and builders. The company specialises in providing a complete service, from design to construction. With extensive knowledge in both pool renovations and new concrete-pool constructions, the team pride themselves on their ability to create projects that dynamically respond to the surrounding landscape and architecture. 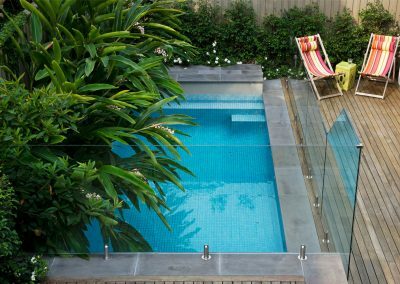 With a history of first-class service, GOODMANORS Pool + Garden is a member of the Australian Institute of Landscape Designers and Managers (AILDM), the LNA Master Landscapers Association, the Swimming Pool and Spa Association (SPASA) and the Housing Industry Association (HIA). 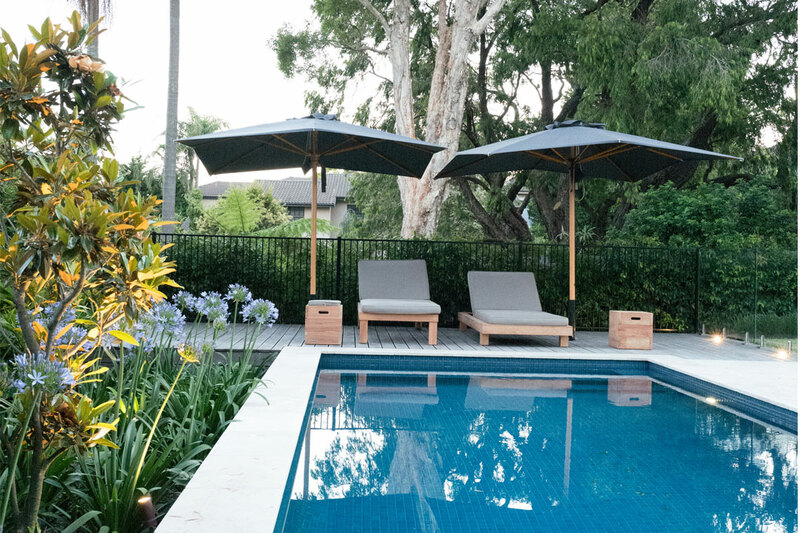 GOODMANORS Pool + Garden recognises the importance of a garden as a private oasis for its owners – whether it’s a place for recreation, relaxation, entertainment, exercise or simply contemplation. 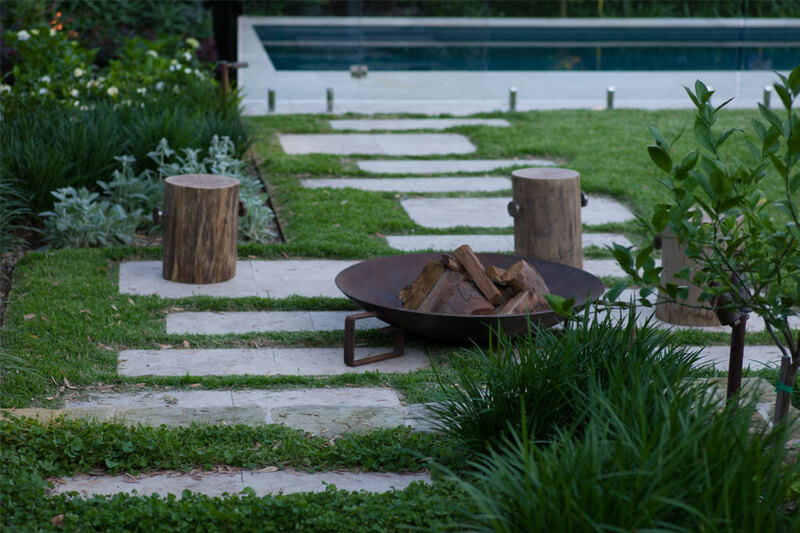 With a passion for building sustainable outdoor havens, the company ensures a long-lasting result with every project it completes.